Note – there is a large gap further down in this post, I am trying to find out how to fix it! Meanwhile – just keep scrolling. Our Phantoms won the International air race with Rolls Royce engines, so the squadron were loaned a car for the year by RRSo how did I end up with this photo of me on the right? It started with another newspaper photo…. In February 1967 I was again off sick from my work as telephonist at a big hotel in Bristol, with tonsillitis. This time my GP told me to stay off work, resting my throat for two weeks. So a week later, feeling fine, not a bad day weather-wise, my friend Sue (Townsend?) asked if I would go into Bristol with her. Photo above. Sue has the checked collar. She was back home, in her smart new Wrens uniform, on her first short leave from the HMS Dauntless, the Women’s Royal Naval Service’s training base. We went shopping in the city, but first Sue had some papers to drop off at the recruiting office in the centre of town. While we were there talking to the recruiting wren officer, a male commander came in, “Great shot, recruiting officer, new recruit in uniform and her friend asking about joining too!” he exclaimed. I assured him I had no intention of joining anything requiring a uniform – thank-you very much! But he came back with his camera and told me it would just be for a photo in the ‘Navy News’. So I agreed. He asked my name and we left for our shopping trip. Imagine my horror to see the photo, and my caption, “Miss Cathy Higgins, interested in joining the wrens too”, on the front page of the Bristol Evening Post a couple of days later! Must have been a slow week. When I got back to work my boss said it had been very difficult for the hotel in my absence and would I train one of the receptionists on the switchboard? Naively I did, they then handed me my cards and a week’s pay in lieu of notice as I was obviously not going to tell them I had applied to join the navy during my paid sick leave! My father was furious and had a very animated phone call with the recruiting office, which ended in them appealing on my behalf to the hotel, which refused to budge, even when threatened with the removal of the annual Naval dinner to a rival hotel. Incidentally, they carried out that threat! 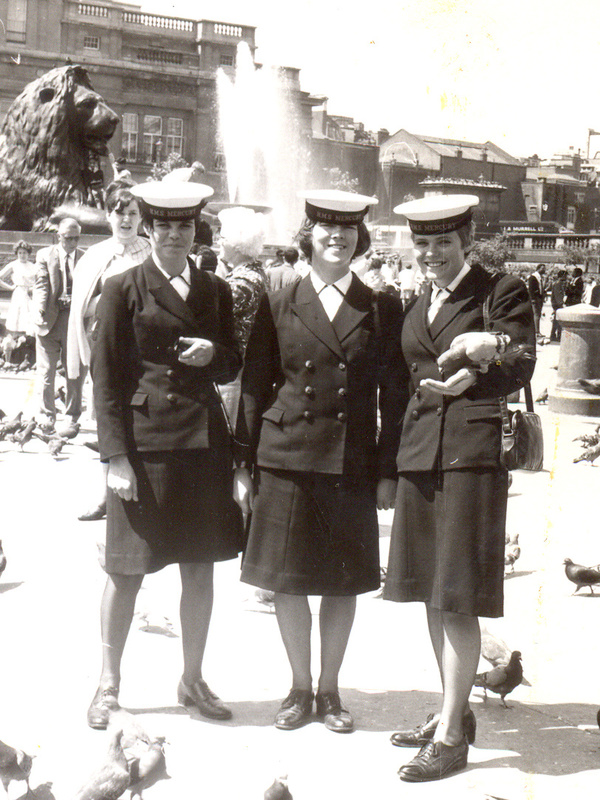 The officer said if I could get through the usual process I was welcome to try for the WRNS. I half-heartedly went along and came through all the application; I was enlisted as a Radio Operator and went to Dauntless for my initial training. HMS Dauntless was at Burghfield, near Reading. I recently found this image, as I was told at the time that I could have signed on the dole, and now still proudly wear my MOD issued Armed Forces Vets badge, I found it appropriate! 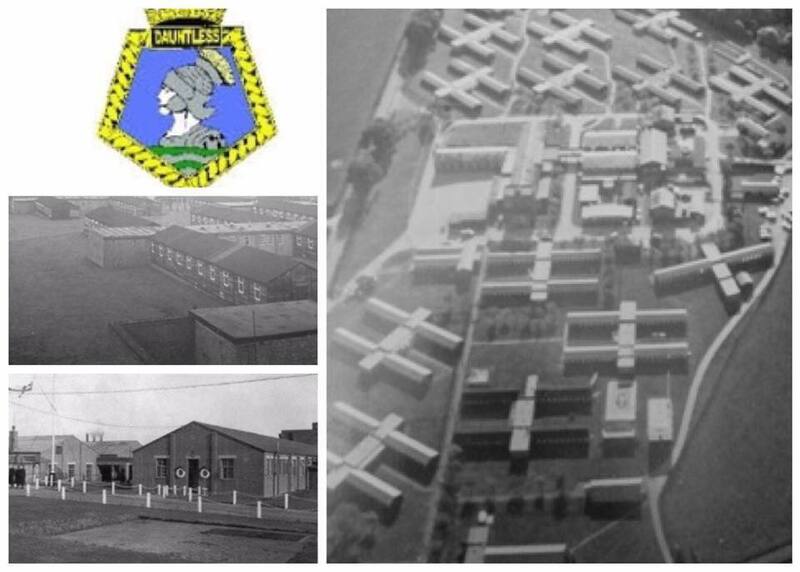 Aerial View of HMS Dauntless, now a housing estate, though plans are being made to have a Blue Plaque added to the estate to remember the history of the site! Dauntless was the basic training establishment for new wrens until 1981 Every one of the 30,000 new entrants who spent their first month in the Service at Dauntless, remembers learning to march, polishing floors and shoes, undergoing x-rays, going into the gas chamber with, then (briefly) without a gas mask, being immunised and practising shouting their official number whilst thrusting their pay book under the Pay Writer’s nose. We also learned naval slang “Jackspeak”! When we are chatting with other wrens or matelots (jackspeak for sailors) even today, we tend to lapse into it. A whole new language. Thanks to one of those who trained with me all those years ago, Jane Mackay, for sending me this photo. We ‘met’ again on one of the wrens private Facebook pages. 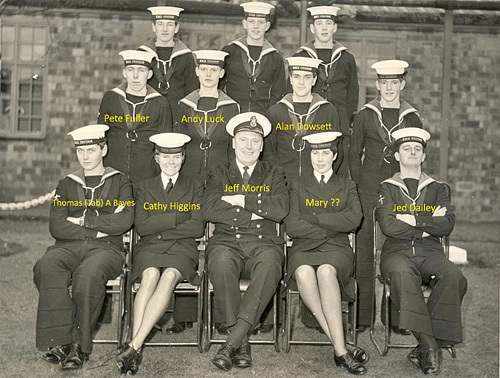 Theseus Division HMS Dauntless, March 1967, 3rd from the left, back row. While I was in training our Division were asked to represent the WRNS at the ceremony in Trafalgar square when a bust of the Second World War First Sea Lord Admiral Cunningham was unveiled on 2 April by Prince Philip, Duke of Edinburgh, the Queen’s husband. The idea being that we had plenty of time to train in marching up and down steps that curved from narrow to broad, we marched up and down the Reading churchyard steps, standing in for those in Trafalgar Square, numerous times, to the delight of local builders! We had our weekend leave immediately before going up to London and I proudly took my ‘No.1’ uniform home to show my family, but, out with some friends the evening I was due to return on the train, I left my bag containing my uniform in a boy’s car. When I got back to Dauntless I realised my mistake and was allowed to phone my long-suffering dad, who went to the boy’s home and drove through the night to Burghfield, leaving my bag with one of the cooks, as it was 5 a.m. and they didn’t want to wake me!! They placed us wrens between the Guards and the Marines and we jumped a mile every time they came to attention in their huge boots. Another recent shot of Soberton Towers, now apartments. Recent shot of Soberton Towers, now apartments. 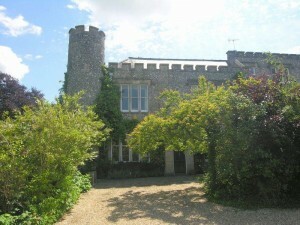 I loved being at ‘Soberton Towers’, the wrens quarters near Petersfield. Where all us wren Radio Operator trainees lived. This photo including me, turned up recently from another long-lost wren ‘oppo’, which is “Jackspeak” for friend, on the HMS Mercury closed Facebook page. You could borrow all the equipment and food you needed from stores to go off on a camping trip, known as an Exped – expedition. So 5 of us trainee Radio Operators went off to the Isle of Wight for a weekend, in dismal weather, but we had great fun, especially after we met a group of submariner matelots, also on an exped! I had posted the few photos I had of the weekend on the HMS Mercury FB page and, to our mutual delight, Jennifer Wood recognised herself and promptly posted several shots – she is the girl in the checked shirt. 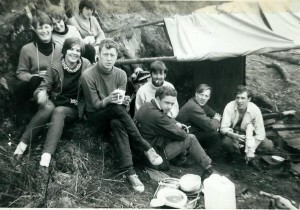 Another exped I went on was at Easter 1967, to the Lake District. 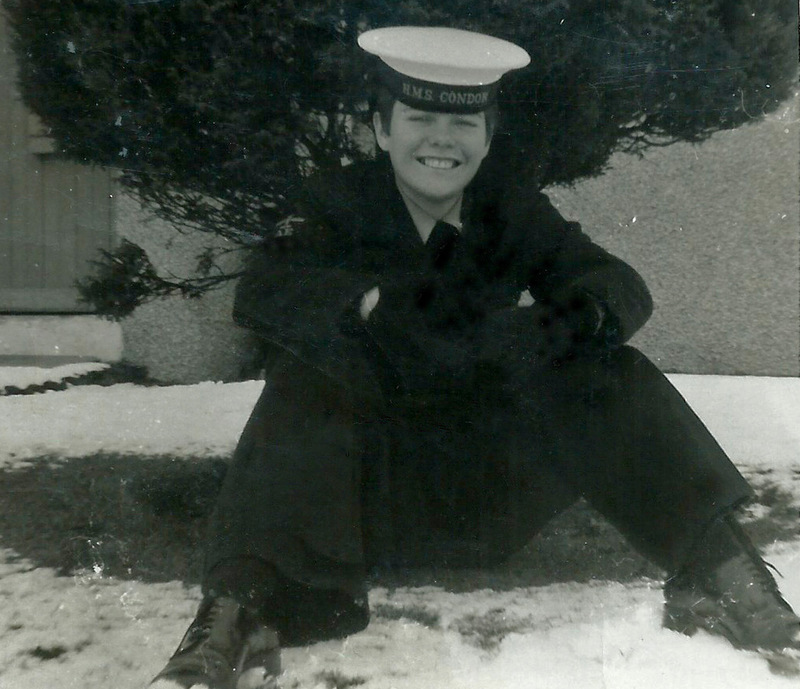 A group of matelots (including a submariner – a subby) and wrens borrowed a 10 ton truck, a lot of gear and drove to Windermere, where it snowed! The lads would come over to join us wrens at the pub near Soberton towers and we had many great times together, The White Lion , aka The Pinkie, was our closest and, like others near what used to be HMS Mercury, it now has a Blue plaque! A group of matelots and wrens outside the Pinky, summer 1967. Me at the front on the ground. 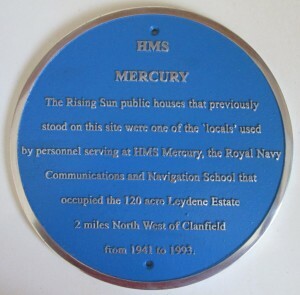 But I had problems with migraines at HMS Mercury training base and, after 6 months of training, was given a medical change of trade to Wren Air Mechanic (Airframes & Engines), it was either that or driver and I loathed the idea of that. (I still don’t like driving). So after another week’s stint at Dauntless I was off to Arbroath in Scotland for my training on the out-of-service aircraft there. There were just two girls and around 14 lads on our course, Mary was top and I came second, well we had to show the men that we could beat them at what they regarded as a male domain! 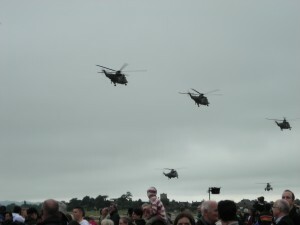 After this I was posted to the Visiting Aircraft section at Royal Naval Air Station Yeovilton, HMS Heron, in Somerset. Even Naval bases far from the sea are called “ships”. 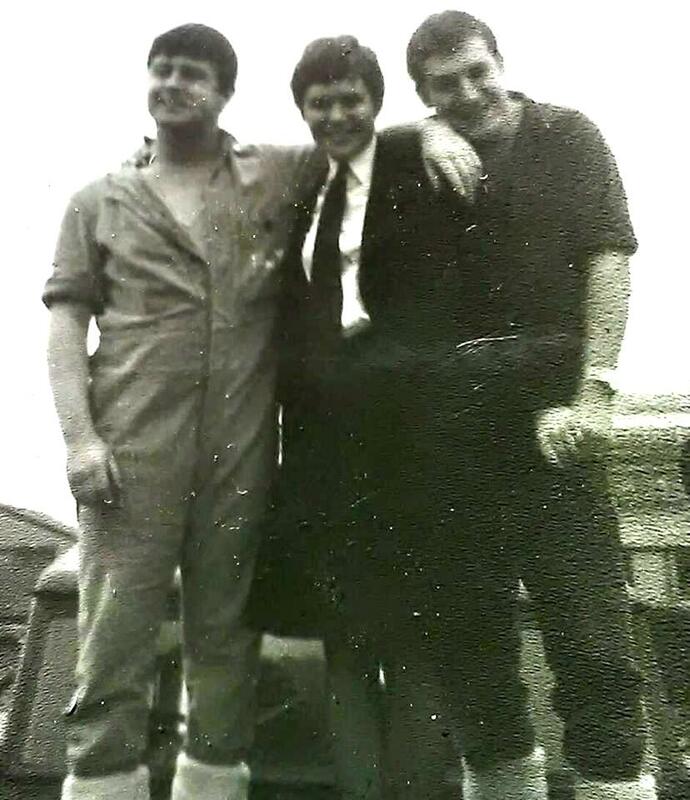 Thanks to Roger Aylett , who I am sure was on my right when this photo was taken at Yeovilton on Xmas Day 1968. It turned up today almost 50 years later! I really enjoyed my time there as my dad had always said “never volunteer”, so I volunteered for anything going of course. 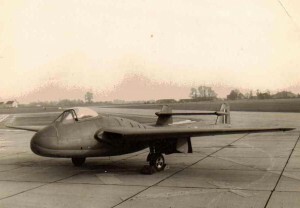 Though I let myself down badly when I hitched a ride in a De Havilland Sea Vampire , lost consciousness as we did a few ‘gentle’ aerobatics and had to lifted from the cockpit by the crash crew! One of my memories was of Christmas 1968. That is when I remember us few still manning RNAS Yeovilton, as the rest were on leave, and being driven up and down the main runway on a fire engine, afterwards we all went back to the Fire/Crash building for rum tots. To my delight and astonishment, today, 1st November 2018, 50 years ago now, this photo was passed on to me by a mutual Facebook friend, one of the Crash crew, on my right!! 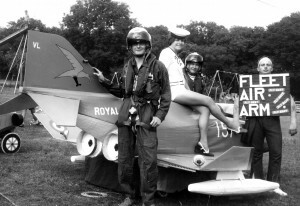 They were looking for a wren to spend the summer weekends of 1968 flying in the Whirlwind SAR helicopter on demonstrations at various country shows, air days etc. The crew would place me in an inflatable dingy on the grass and then fly away, I would fire off a flare, the heli would return to ‘rescue’ me, great fun. The crowds enjoyed the last of the three ‘lifts’ when I was “unconscious” and the crewman had to be winched down and wrap himself and the gear around me to lift me up to safety. As he was my then boy-friend the crowd were delighted when I got a kiss on the way up! I remember in July flying over the terrible floods in the village of Pensford, Somerset, where the main A37 road was blocked as the bridge was swept away. We were trained on many types of aircraft at ‘Visiting Aircraft Section’, where I worked. 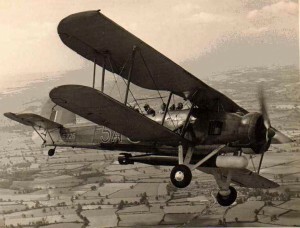 I was most proud of my certificate to maintain the Swordfish, flying to the aircraft factory at Filton, Bristol, in it for their air day, and another time, seated in the back hanging onto the rear-gunner’s flying suit as he stood up to salute the new Captain of HMS Heron when he arrived and we did a low slow fly past. Our pilot “Crash” Evans was a little concerned as the Phantoms flew in at the same time and, afterburners on, roared vertically upwards almost directly above us, we made a distinct lurch towards the ground and the wooden airframe creaked in protest! She is still flying under the care of Navy Wings . I qualified and/or worked on the Hunter, Canberra, Blackburn Buccaneer , Sea Prince, Devon, Wasp, Westland Whirlwind, Tiger Moth, Vulcan bomber, Lightening, Red Arrows’ Gnat (the smallest) and the USA’s MAC Globemaster (the largest). There were many more that I can no longer remember the name of. Among visitors I welcomed Petula Clarke (filming ‘Goodbye Mr Chips’) and a certain Lt. C.Windsor who flew in as a student pilot. Now known as Prince Charles of course. 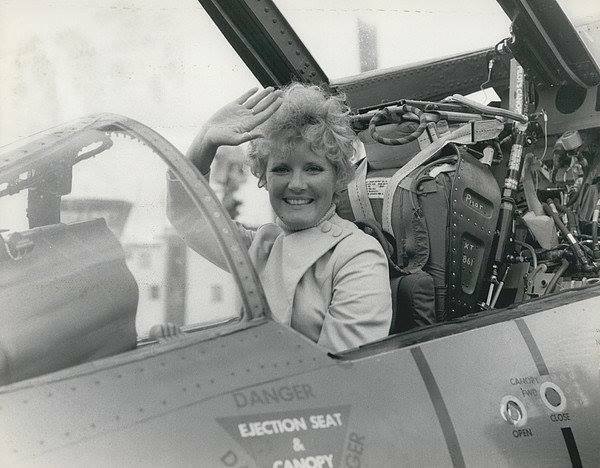 Petula Clark in a Phantom 1968, she was filming Good Bye Mr Chips at Sherbourne and used Yeovilton to fly in from her home in France. My family lived in Bristol. 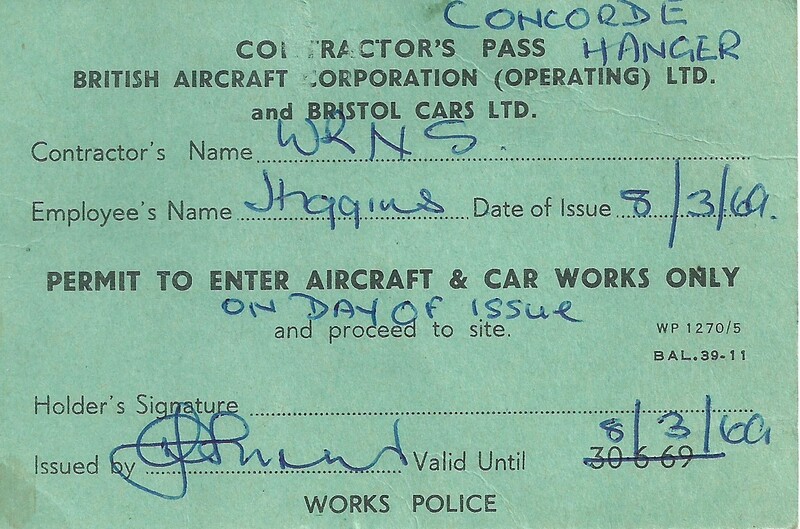 So when a notice went up on the boards, in September 1968, asking for a volunteer to work at Filton for a month helping with the Concorde project, I jumped at the chance! 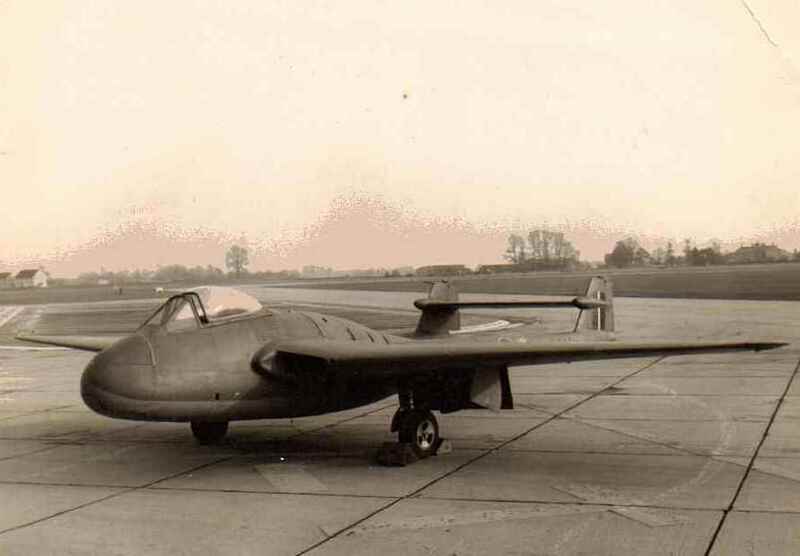 This futuristic aircraft was being build partly there and partly in France. To help with the design of a crash net suitable for the end of the runway for Concorde, in case it was needed during the test flights, the FAA was loaning a Buccaneer jet and crew, for the tests, because it had the closest Delta shape to Concorde. My job was to do all the daily checks etc on the Buccaneer. I stayed with my parents, and travelled to Filton each day wearing my smart uniform, which earned some interesting remarks on the bus. But they were nothing compared to the comments from the lads when I arrived at the Brabazon hangar, where my aircraft was parked in front of the nose of the brand new Concorde. The looks were priceless on the apprentices’ faces when I came out of the Ladies in my overalls and started work – climbing into the Buccaneer’s air intakes to check the compressor blades. They weren’t used to seeing girls doing much technical work and I had a few problems when they climbed into the cockpit and refused to leave. I soon put a stop to this by pointing out that they were sitting in a rocket-propelled ejector seat that could shoot them straight up to the metal roof at 90 feet a second. 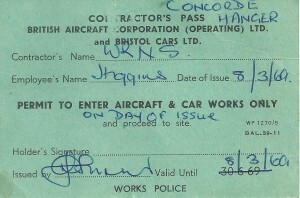 My Concorde hangar pass ‘The Brabazon hangar’. I got into trouble as I lost my original one and was given this replacement for the last few days. 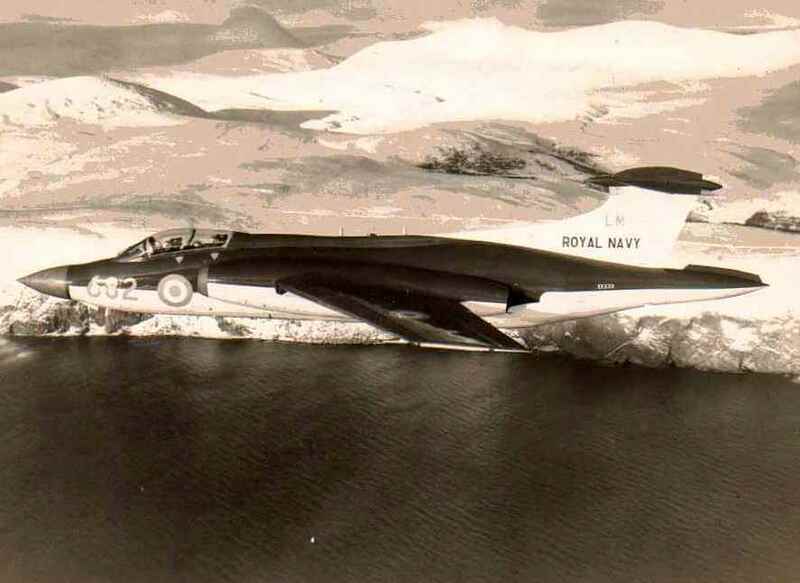 Once I had the aircraft ready, the crew would fly up from HMS Heron in Yeovilton to take it up for as many flights as necessary, and I was responsible for refuelling and maintenance work. The Buccaneer was parked in front of Concorde, and I was called over the tannoy system at lunchtime one day to man its brakes while it was towed out of the way to let the new plane out for its first photo-shoot with the gathered world’s press! We Royal Navy folk were given a guided tour of Concorde – we were led through and all over the plane while one of the foremen extolled her virtues like a proud father. I still like to drop the remark into conversations involving memorable episodes in our lives; “I have walked on Concorde’s wings you know”. Well of course it was in a hangar! 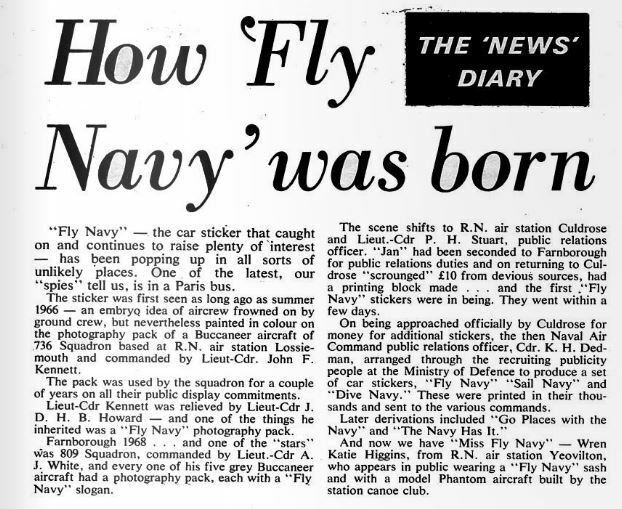 At Filton, we used to eat with the pilots and the day before they all left for the first test-flight at Toulouse, which was planned for 1 March; our navy pilot told them it was my birthday on 2 March. In the end there was bad weather on 1 March, so I got my birthday present! A few years later when my husband, a Dutch pilot, was working for KLM, he would often say: ‘I was parked next to Concorde at Heathrow today – I said hello to her for you’, though we could never afford to fly in her. I never dreamed then that on 24th October 2003 I would be standing in front of those huge Brabazon hangar doors again, as they slid open I walked into the cavernous space and spoke, unscripted, about how I felt, then and today, about the beginning and end of Concorde, almost forgetting the BBC Breakfast TV’s microphones and cameras trained on me. The reporter John Kay was jubilant when he saw tears welling up in my eyes! I am very proud to be associated with the development of such a unique and beautiful aircraft. BBC Bristol were part of a team who staged a musical in the city, using the stories of many local people who had been involved in the building of Concorde, this was presented at the time of the last flight of Concorde in Autumn 2003. BBC photo of me in the FAA Museum, Yeovilton, “my” grey Hunter is below me on the left. 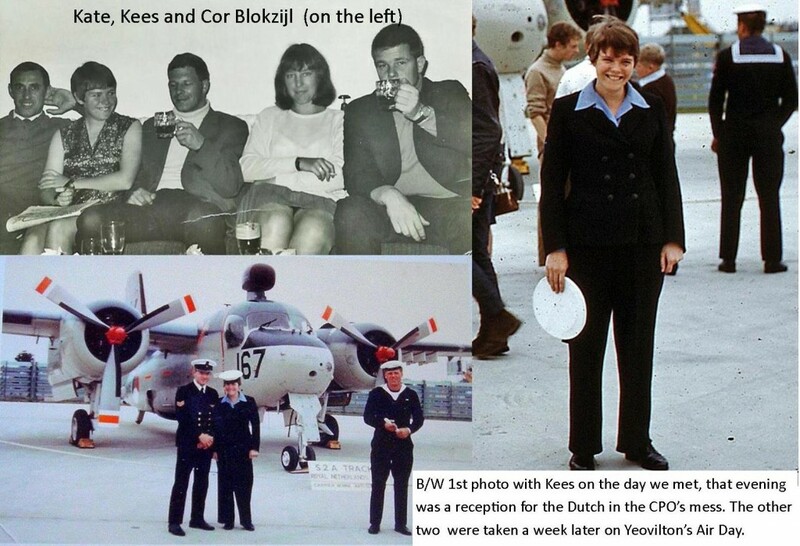 To my surprise, much of the story was based around the life and experiences of a Wren aircraft mechanic named “Kate” who was attached to work on Concorde at Filton in 1969! 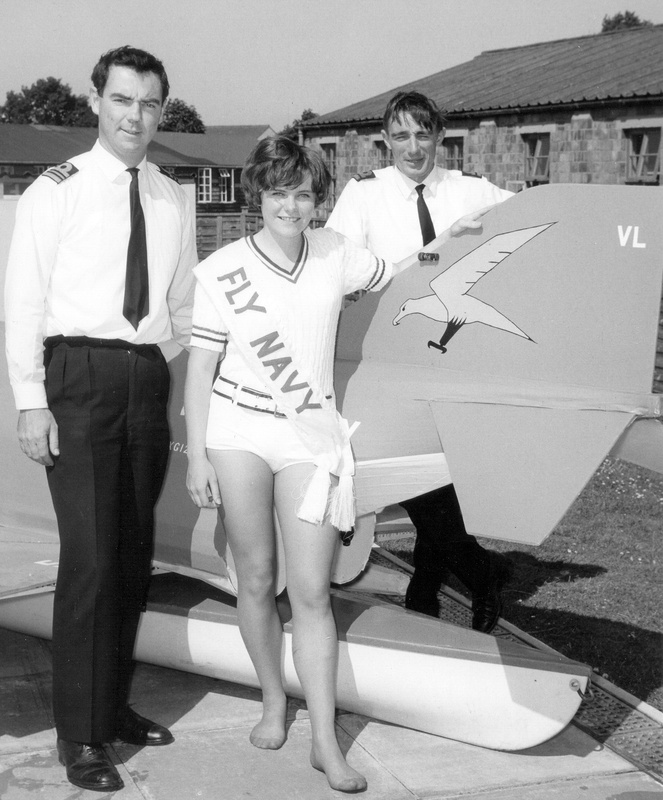 They even sent me to the Fleet Air Arm Museum, also based at Yeovilton, to take some publicity shots of me with Concorde, which included a Hunter aircraft, which I had worked on, directly beneath me. Thanks again to Phil Glover for recently sending me this item. and the image of the stickers. Our Yeovilton Ship’s Daily Orders had featured a cartoon character called “Phantom Phred” since the aircraft arrived and that summer he suddenly acquired a cartoon girl-friend – “Phantom Phemale”, with news of her canoe club events. We won several carnivals that summer! 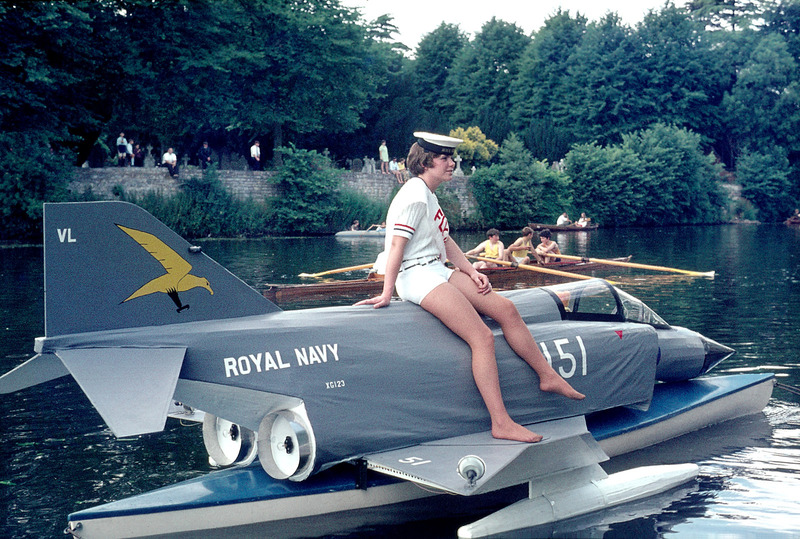 Another interesting part of my time at Yeovilton was that I had joined the canoe club, they had a model Phantom built, about 14 foot long, we started to go to water carnivals with the Phantom mounted on a canoe and towed by the lads, with me perched on top, in shorts, a top and (not sure who suggested it) a banner saying “Fly Navy” on it! One memory is of us floating along the River Avon, in Stratford-on-Avon, on a lovely summer evening, past the Theatre, where the cast of the current Shakespeare play were on the balcony during their intermission and being bowed to by Henry VIII who even doffed his cap at me. 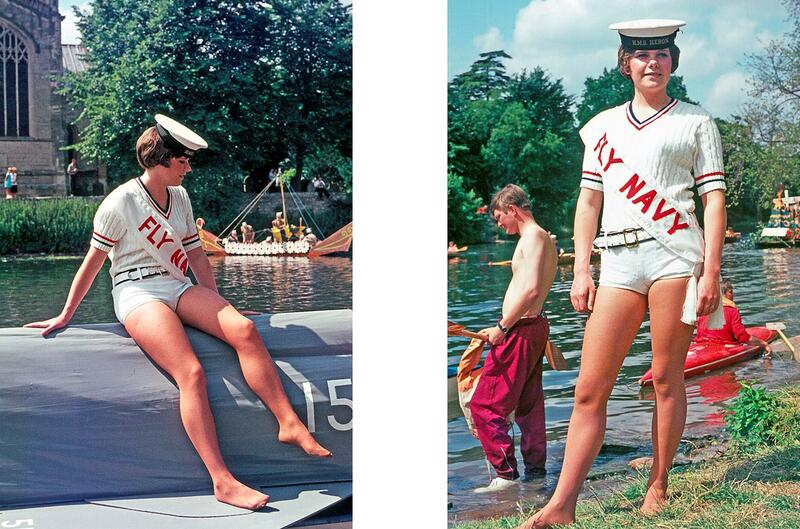 I am not sure which came first, the canoe club, Miss Fly Navy, the London to New York Air Race? 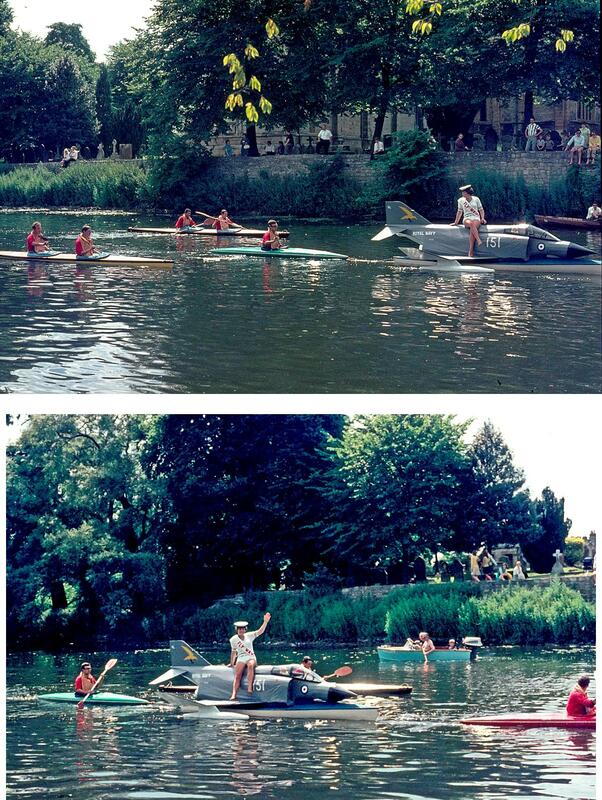 Yeovilton canoe club escorted and towed the Phantom Phemale! Thanks to Lionel A Smith for these long-lost shots. I was putting up with a lot of teasing from the lads watching this photo-shoot! Phantoms are big when you sit on top of them! 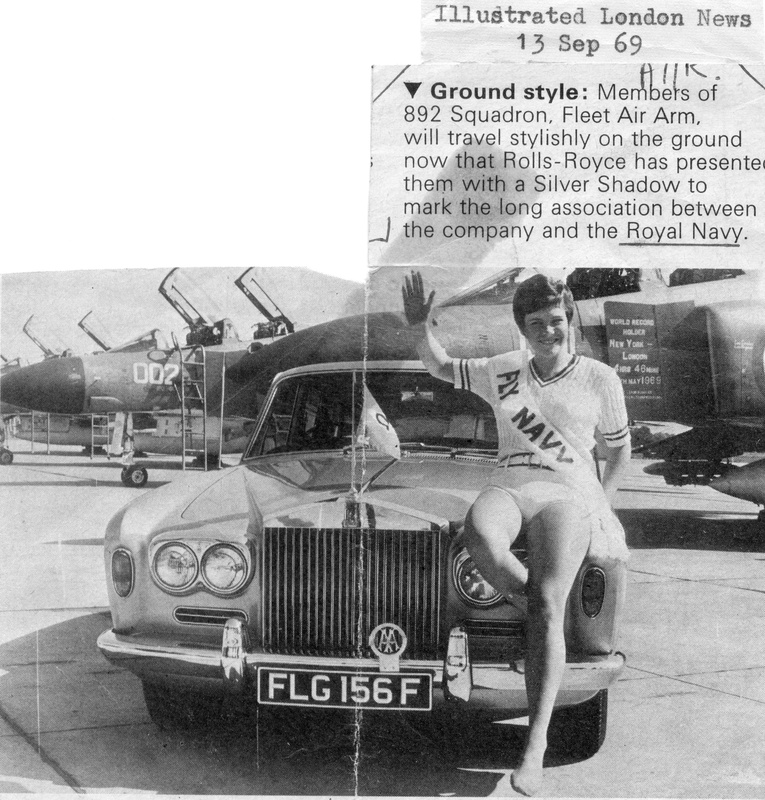 But our Phantoms from Yeovilton broke the world record three times running with our superior Rolls Royce engines, the company were so pleased they presented a Rolls Royce car to 892 squadron for their use for a year in recognition! I had my photo taken posed in front of the car with the Phantoms in the background; it was in The Illustrated London News at the time. (Photo is at the top of this age). Senior Pilot and Observer of 767 squadron, Phantoms, (they adopted me as a mascot! Article from “Navy News” August 1969. Thanks to Phil Glover for sending me this one recently! The highlight for me was being asked (ordered) to open the Air Day 1969, perched on my Phantom, which was fixed to a trolley usually used for ammo I believe, towed by a tractor along the main runway, waving to the crowds! 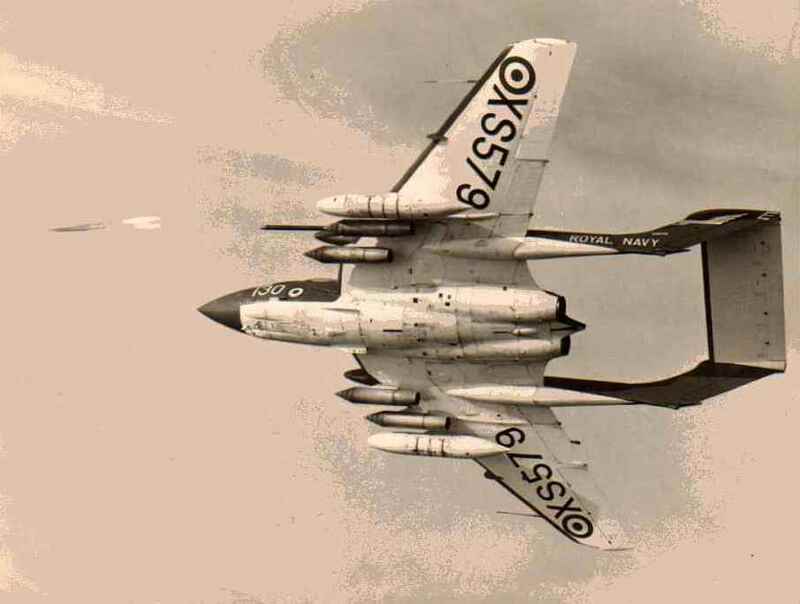 A personal note; In August 1968 we were told that a Dutch squadron of Grumman Trackers (anti-submarine bombers) were coming to us for two weeks to take part in a Nato exercise and would be here for that Air Day. 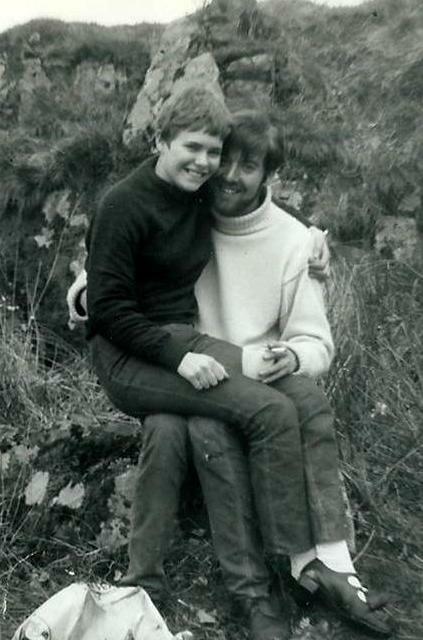 We were asked to help further Anglo-Dutch relations, so, after fixing a pilot’s oil filter as soon as they arrived I ended up marrying Sgt Pilot Kees van Zoen in December 1969 and leaving the WRNS to live in Holland for the next 19 years. Kees transferred to the Dutch SAR helicopters and then left to fly with KLM Helikopters to the oil rigs, before moving over to KLM passenger fixed wing aircraft. After his sudden death in 1988 I and my 2 sons moved back to England. I remarried in 2002. I had loaned a lot of photographs and press cuttings of my wrens time to the FAA Museum some years ago, and had written to ask for them back last year…. they were having trouble finding them . They have still not turned up. I then exchanged a couple of emails about this with Lt Carolyn Jones, the FAA Public Relations officer. 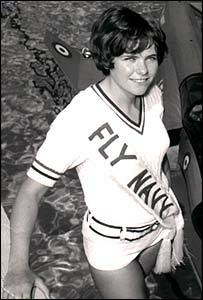 Who knew nothing about there ever having been a “Miss Fly Navy”, like many Naval institutions it just sort of grew unofficially! But I was very surprised to get a phone call from her asking if I would come down to their 100 years of the FAA Air Day as the guest of RNAS Yeovilton, together with my husband of 7 years, Rob. 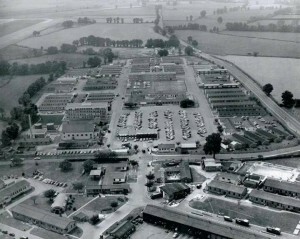 The last Yeovilton Air Day I attended was the one I opened in 1969! 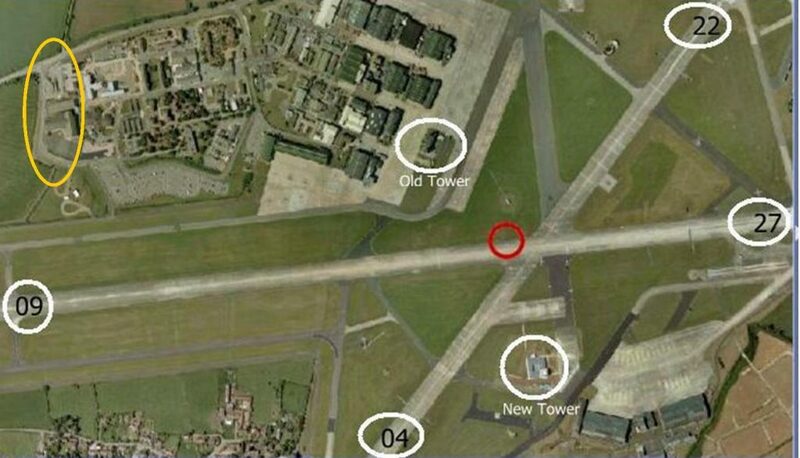 This time I had difficulty working out exactly where things like hangars, control tower and the Visiting Aircraft section (where I worked as an aircraft mechanic) had all been, so much has changed. I usually say yes to requests that promise an interesting time and we duly received complimentary tickets and car park passes for the Press Enclosure. 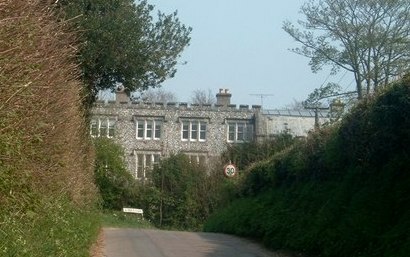 We stayed in a great B & B right near the airfield, Hawks House. We stood out in the garden on the Friday evening and watched several of the aircraft fly in. We were all thrilled that when the Vulcan arrived it did several “touch and goes”, touching down and taking off immediately, applying power to those mighty engines, putting on a mini display for all the people who the crew know were watching them arrive. 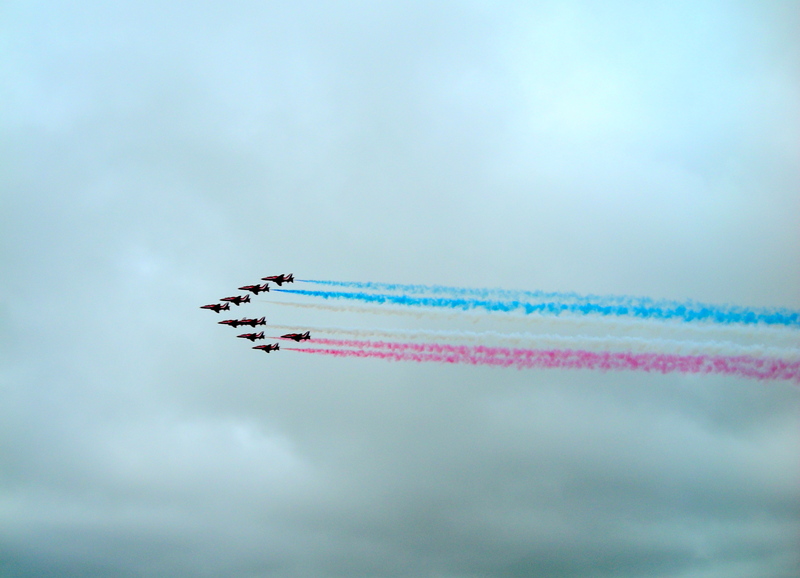 As they unfortunately could not fly on the Saturday at least some of us got to have the pleasure of seeing them fly! visiting aircraft was, the larger, heavier aircraft could not park there. So when a Vulcan or even a MAC (USA) Globemaster was expected one of us WRNS from Visiting Aircraft would get on our bikes and cycle over to the large “dispersal” area, to marshal them in and do any work required. 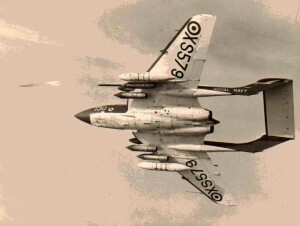 de Havilland Sea Vixen – 6 taking off in formation wakes the heaviest sleepers! Hearing the ‘roar with a whine’ sound of the Vixen flying really brought the memories flooding back and made my pulse race. The Wrens quarters were near the end of the runway and when the display team of Vixens – ‘Simon’s Circus’ – took off the sound was unimaginable, especially if you had been on late duty and were trying to sleep! 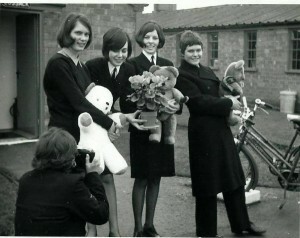 On Christmas day 1968 most of the Yeovilton people were away on leave. I have a vivid memory of a crowd of us who were the skeleton crew, sitting on a fire engine, driving up and down the main runway before retiring to the Naafi for lunch, including some rum someone had hoarded! Wouldn’t be allowed these days! The issue of rum is not the only change I know has happened at Yeovilton and throughout the Navy. 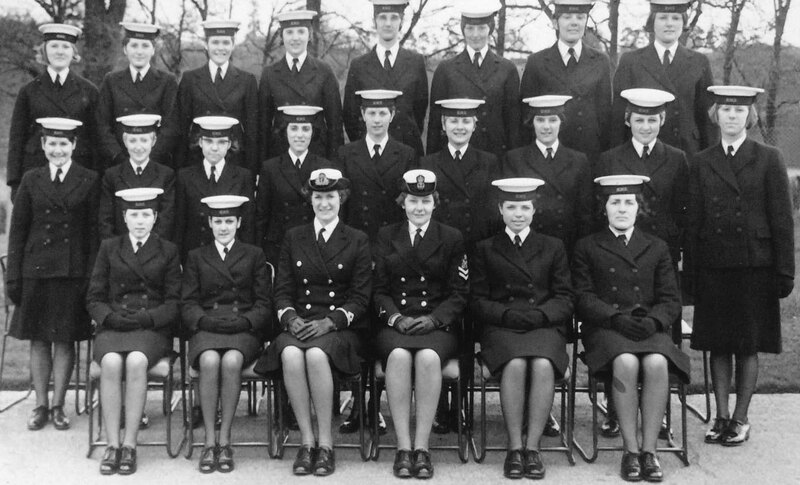 Most of the fixed wing aircraft are gone and it seemed strange to see female officers and ratings as Royal Navy personnel, not as WRNS, with their distinctive uniform, titles etc. The fact that in my day the women did not go to sea nor were under navy regulations and discipline seemed good to me, though, having got to know women of the Royal Navy who have been in recently, I have slowly changed my mind on that, and actually find myself regretting the missed opportunities. jobs such as working through a tiny opening to undo screws that you could not see. Dropping a screw or tool inside the aircraft was a big disaster as it could not fly till the elusive object had been found, which could entail demolishing part of the aircraft to retrieve it. It did not make you popular! 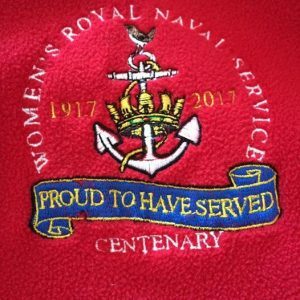 I enjoyed my years in the WRNS very much and would recommend it to anyone looking for a worthwhile career. 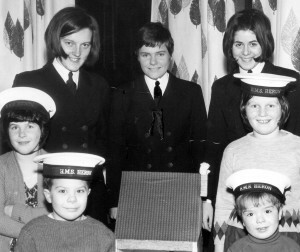 Though now, of course, women are members of the Royal Navy. I am a member of the Association Of Wrens . There are many Wrens pages on Facebook. But you will have to show proof you have been a wren/RN lady to join! Our most senior members served in 1944, a huge range of ages and experiences, but we have our formative years in the service to bind us together. Through discussions on the wrens FB page I ended up marching with the current and ex forces on Remembrance Sunday 2013 and laying a wreath at Alnwick War Memorial on behalf of the Association of Wrens. Very moving and a relief to discover, after 44 years, that I can still march in step! 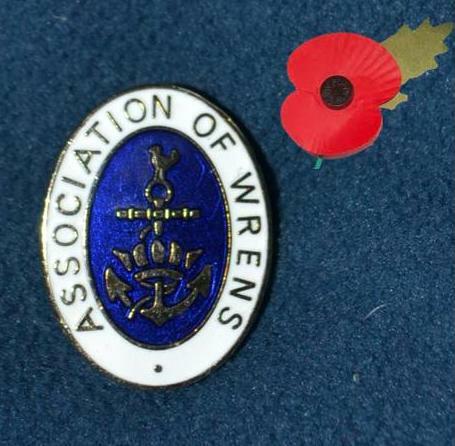 The Association of Wrens is preparing for the centenary of the service in 2017. This is a link https://www.facebook.com/wrns100/?fref=ts I am booked to go to our special reunion, though there will be events all through the year. It is also 50 years since my division joined up. Also through the Wrens and The Wrennery Facebook pages, I managed to meet up with 8 ex-wrens/RN ladies last year, and several since, though none served with me, some are even young enough to be my daughters, we clicked immediately and had so much to talk about. 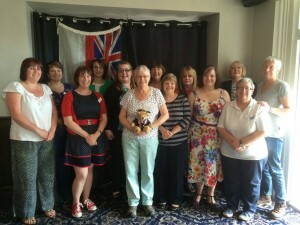 Some of us North East Jenny Wrens had a reunion last year. This was a NE Wrens reunion in Newcastle last year, on the left. This year I hope to meet more, especially when we are away on holiday in other parts of the UK. I have joined the Royal Naval Association. Their slogan is Once Navy, always Navy. That is so true. 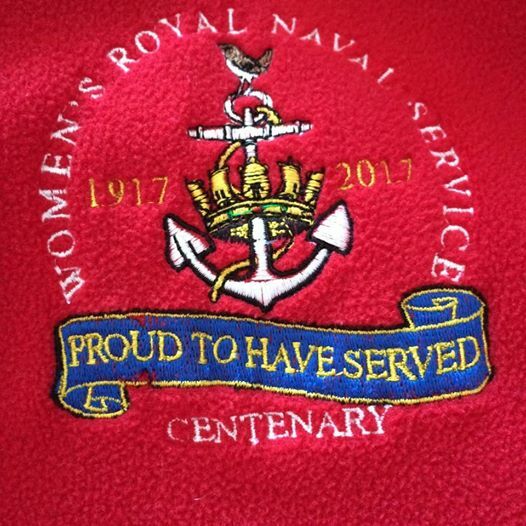 UPDATE – As it was the Centenary of the founding of the WRNS last year, I organised through a Facebook pa ge, that 100+ War Memorials at home and abroad, had at least one Woman of the Royal Navy laying a wreath to commemorate those wrens who gave their all for our country. 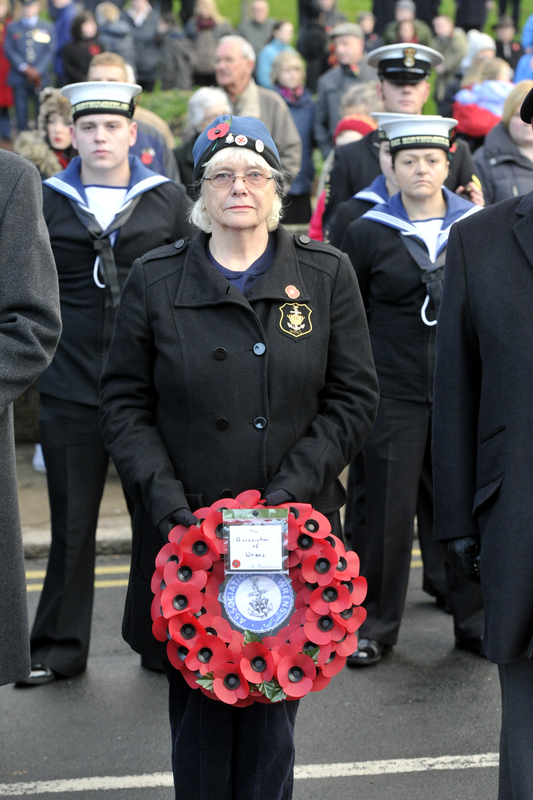 This photo on the left is the Facebook cover photo for that page, still live, “100 Memorial WRNS Wreaths” This year I, and many others, will be marching and laying our wreaths again. Due to masses of spam I am sorry but I have had to disable the contact to myself on these pages. However, my Facebook name is Catherine Davies van Zoen. This entry was posted in About us including WRNS. Bookmark the permalink. I really enjoyed reading about this. Thanks, I enjoyed living it! Catherine your story was very interesting and should give you great memories. What a fab set of vignettes! As ex RN, I thoroughly enjoyed that very well wriiten, evocative account. Thanks Scott, what trade were you in? Hello Kate, that was a great story and great to read about the Andrew in its hey day, i am the son of a ex jenny(jack dusty) and an ex matelot (skimmer and boats) and take a huge pride in my parents navel history , in fact most of my family are, ex jennys, ex bootie, ex and serving in Afgan crabs ,me included…i joined the pongos tho!! will show this to mum as well,she just met her best oppo from Vernon as well recently ,20 odd years inbetween, thanks for a hugely enjoyable look at your past,all the very best. Thanks Jeremy, I have ever found any of my ex mates, but great you have so many connections, all the best. Lovely memories for you – I enjoyed reading all about it – a great life in the WRENS back then, I also had a fab 4 years. Thanks Linda, when were you in, and what trade? Excellent set of inspirational material, thanks for sharing. A thoroughly enjoyable read Catherine and you certainly packed a lot in. I have tried to remember things I got up to, other than lots of parties and boozing, we were a sociable lot, but can only recall going sailing for 2 weeks on a Nicholson 55 yacht. You’ve got me racking my brain now. Thanks Peter, sorry it took so long, I get a lot of spam and couldn’t face it all! How long did you stay in? Hello Kate. What a surprise! A friend of mine sent me a text after seeing our class photo at Condor. I was on 767 Phantoms and 892 when the transatlantic race took place. Hi John, I am not at home this month so I am on a dongle and can’t send email from my laptop, I had forgotton that and realised I have a stack of unsent emails!!. I shall be back on wifi tomorrow and will reply then! Very reminiscing reading! Being from Yeovil (Mudford) I served my early years at VL, 766 Vixens, Radio Workshops, 737 and 892 Phantoms before we were all trotted off to RAF Leuchars with them. After that it was off to Aircrew Training. Sadly one or two of the Grunters abused it wanting to show off to the local Gentry (One Farmer of which was a long time local friend of mine). It thus got damaged a couple of times but when a couple of them rolled it near Marston Magna, RR decided that was the end! 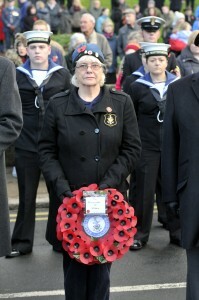 It was the CO of 892 (LCdr Chris Honeyball) that had to override a Crab D.O. and recommend me for Aircrew Training. He stated that he to be wary of course because one could well end up on the end of a winch that the applicant was operating if he made it? As a final note to this saga Kate. 4 years ago I made conact by chance here locally in Australia with a Lady who was born on the same date as myself? In the same Maternity Hospital in Yeovil, Somerset? 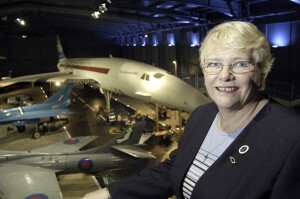 We when’t to the same schools before I joined the Navy and she went to Westlands before moving to Filton to work on Concorde, helping to design and profile the engine intakes. 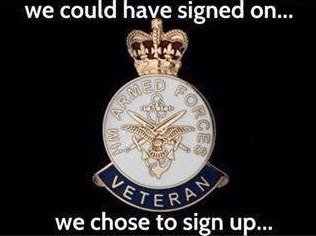 Thanks Bob, it is great to hear people’s stories here and on the many ex forces FB pages. So many seem to end up in Canada or Australia. 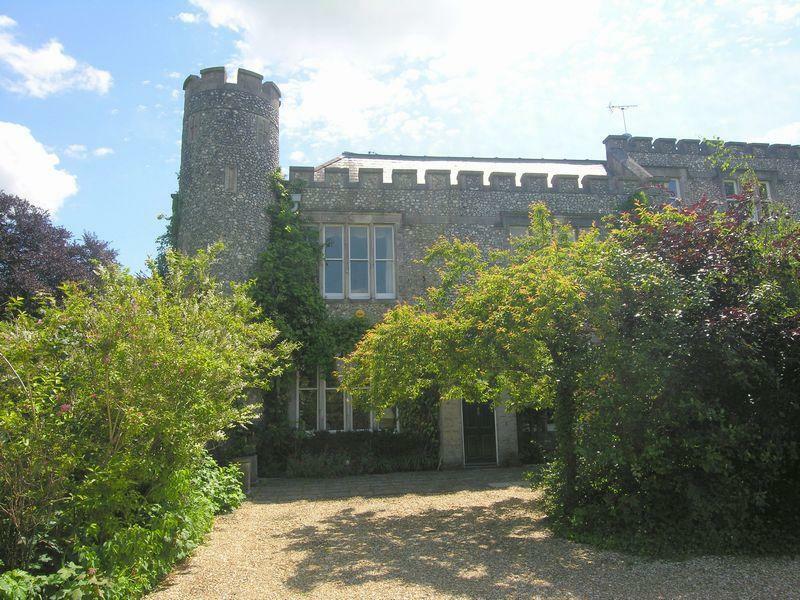 I too loved being at Soberton Towers, I was there from February 67 to July 67, I was a Morse Wren don’t know if you were there at the same time. I knew a Sue Townsend who was a Radio Operator not sure if it’s the same person as your friend. Hi Marion, I can’t remember what trade Sue had, I don’t think she was an RO as I would have seen her at Soberton as she was only a month or so in front of me. I trained on morse at first but was told my lack of any rhythm meant I was rubbish at it so had to go for the teletype stuff. But then I started getting bad migraines and they gave me a change of trade to Air mech and went back to Dauntless then up to Condor (Arbroath) before being posted to Yeovilton.. We must have been at Soberton/Mercury together! 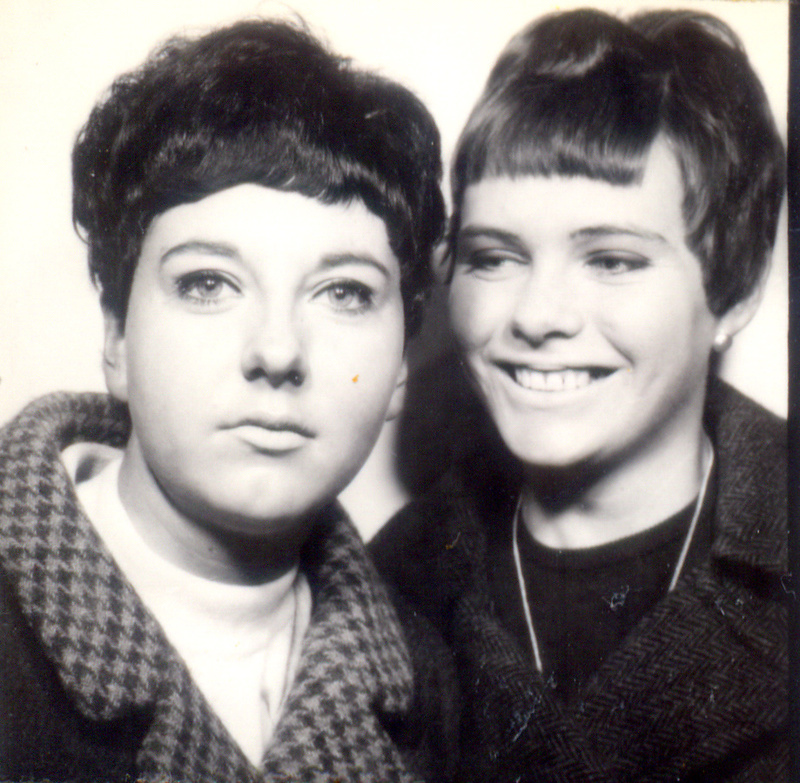 My name was Lenke in those days and I had very short dark hair. I was in WRO1 class the first Morse class of ’67. 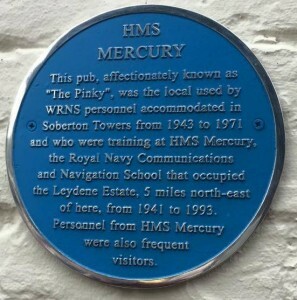 Met my husband to be in the Pinkie, he managed to spill a full pint of beer all over me, imagine trying to explain that to the Duty Officer. 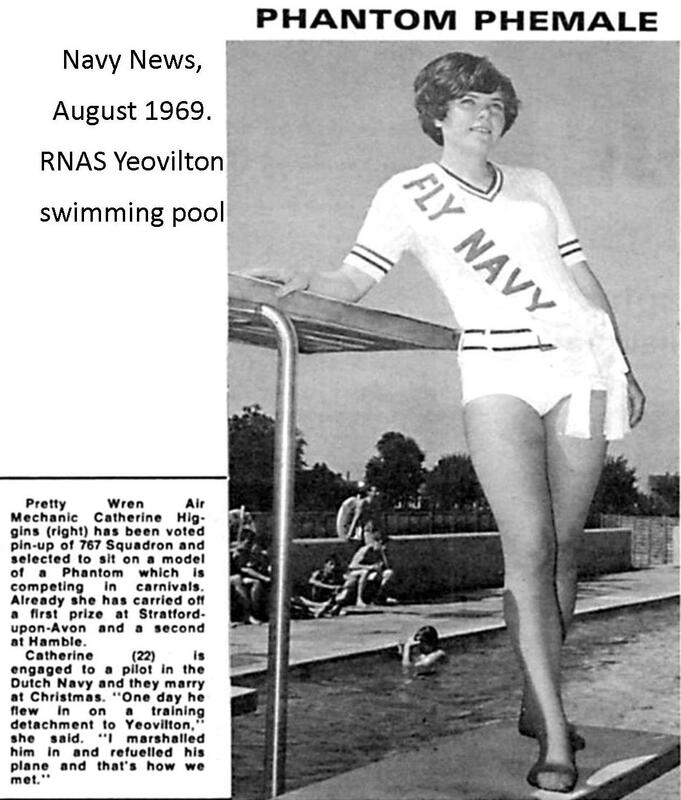 Brilliant story of your life in the WRNS and brought back so many happy memories of my time at Yeovilton. We had a lot in common and starts with birth dates! I also last worked at Yeovilton Air Day in ’69’ the year I got married, and that was the last Air Day at VL that I was at until this years visit with whole family. 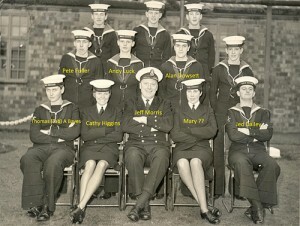 You mentioned the Canoe Club of which I am quite certain that Pusser Hill and Wally Beard both PTIs were involved with! I am still in touch with Wally Beard. I am now retired in Cornwall but very active coaching and playing Squash at the China Fleet Club which the RN owns! Best of health you you. Loved reading your blog Catherine. 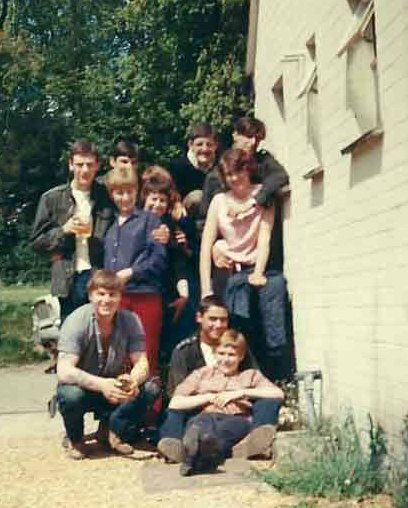 I recognise the Wren on the left of the photo with you in the middle, when you visited a school. Cannot remember her name was it Helen?? Hi Ann, Thanks, someone did tell me their names in a post on the wrens FB. I shall have to see if I can find it. My memory is appalling which is why I am having problems finding people I knew. Hi Kate, Enjoyed your blog. Ann introduced me to the wrens site Monday so trying to catch up. Not sure about your face but that’s my memory for you! I was at Yeovilton April 1967 to Aug ish 68 when I wen to Malta. Great life wasn’t it?! Hi Babs, my memory has always been bad, I don’t know how I ever passed any exams and got qualified on so many aircraft with my lack of a good filing system in my brain!! What trade were you? Really enjoyed your story. I was on Heron Flight about that time as a young tiff. Went to 767 then 892. Ark Royal , 360 squadron etc. Just remembered Paul Brown was Whirlwind pilot on Heron Flight. Do you remember him? Hi Pete, I have very little memories of those days and enjoying making contact with others who may prompt my brain! I do remember a Whirlwind pilot named Paul. Love your blog! What a great life you had. I got to go to the Investiture of Prince of Wales and was set up to be at the Royal tournament when I fell pregnant and was due to go for a day at sea too. 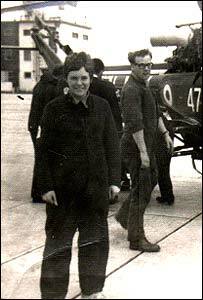 I was at Yeovilton from Radio Mech killick course 1970 then to Lossie for phot course and back to Yeovilton til 1972 when I left pregnant and end of 4 years time. Thanks Jane, yes, it was a great time in our lives, very different now! Enjoyed reading abt yr time in the WRNS, Kate. We joined in the same year, 1967, but I joined in the October and after initial training at HMS Dauntless, went to HMS Mercury to train as a Radio Operator (Morse). Drafted to HMS Warrior, then HMS Rooke (Gibraltar). Now living in the very far north of Scotland and have just passed foundation licence for Amateur Radio (MM6SZA) at end of May, so having lots of fun with it….not quite yet got going on the bands with CW but will happen very shortly! Haven’t forgotten it, though speeds much slower…. HI Gail, nice to hear from you. Are you on facebook? The Wrens fb page has over 2000 members. Really enjoyed this as it brought back some wonderful memories. 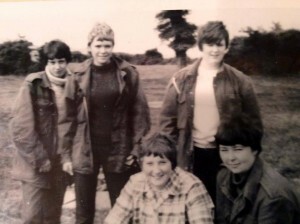 I was a Pinkie at Yeovilton Sept 67 through to Feb 71. 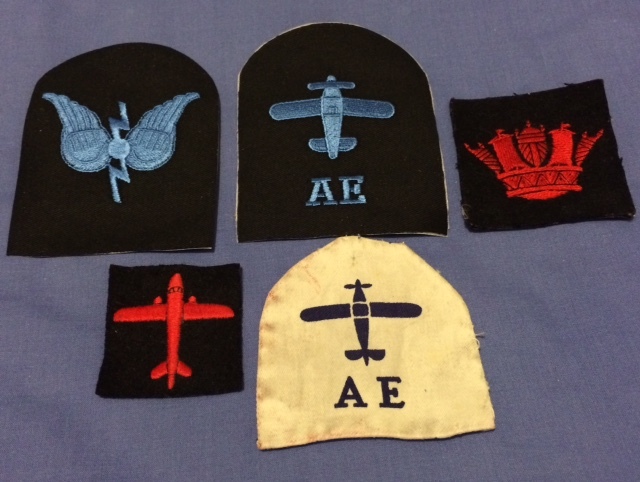 Worked on 766 Sqn, Ground Radio, and 767 Sqn.